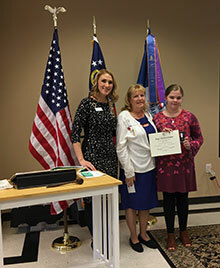 Duluth’s William Day Chapter, Daughters of the American Revolution, presented a medal, certificate and monetary award on February 10 to American History Essay winner Adelaide Lee Bolling, a fifth grader from Margaret Winn Holt Elementary School. A black-tie optional event to benefit Gwinnett Animal Welfare featuring casino type games will be held at George Pierce Park Community Recreation Center on Feb. 22 from 7 p.m. to 10 p.m. The event is in partnership with Suwanee Animal Hospital. The University of Georgia's Small Business Development Center in Lawrenceville will host the SBDC StartSMART™, a program in Lawrenceville March 8th – March 29th. United Community Bank is pleased to announce it has received 10 Greenwich Excellence Awards for middle market and small business banking. Frequently rewarded for exceptional customer service, United is proud to also earn recognitions that showcase the company’s commitment to quality banking solutions and financial guidance. 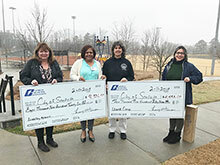 The Georgia Municipal Association has given the city a Safety Grant check in the amount of $4,553 and a Liability Grant check in the amount of $8,926.07 toward the purchase of a defibrillator and accessories, a Strike Alert Lightning Detector and playground safety netting at T.W. Briscoe Park. 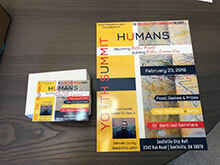 The Snellville Youth Commission will be hosting its second annual Youth Summit from 12 to 4 p.m. Feb. 23 at City Hall.